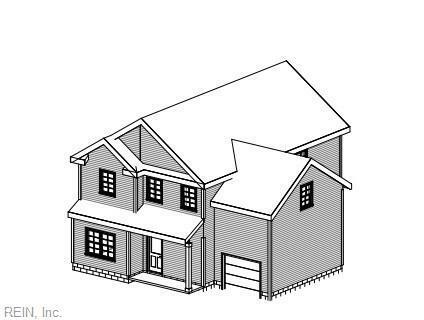 1232 Hoover Ave, Chesapeake, VA 23324 (#10226238) :: Abbitt Realty Co.
Look no further for your fantastic new construction home featuring 5 bedroom & 3 bathrooms centrally located in desirable South Norfolk area of Chesapeake. Open floor plan has an extra large kitchen with plenty of counter space & granite counter-tops, and a spacious family rooms with gas fireplace. Huge master with massive walk-in closet, & bath with dual sinks. Walk-in closet in all bedrooms. First floor bedroom could be considered a 2nd master. All rooms are nicely sized rooms with cable.